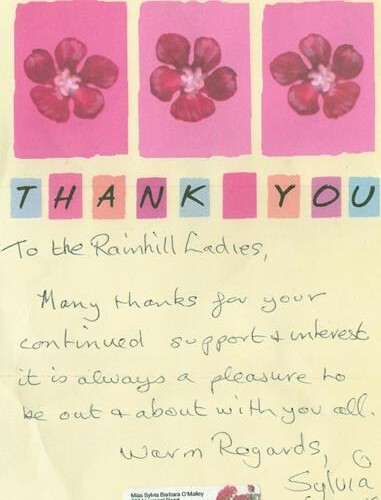 Rainhill WI organise many outings and events throughout the year including day trips and theatre visits. We set off at 6.30 with our guide Sylvia and headed into Liverpool via Old Swan & Queens Drive. Sylvia enlightened us on our journey with lots of local history, tales & facts about the area. Passing Everton & Liverpool football grounds & it was nice to see the regeneration taking place the surrounding area. At Everton Brow we had a fantastic view of the beautiful sunset over the city & the Wirral peninsular. We travelled through the Wallasey Tunnel to New Brighton so we could see the work taking place across the river in ‘Liverpool 2’ at the docks where the new deep water terminal is being constructed. 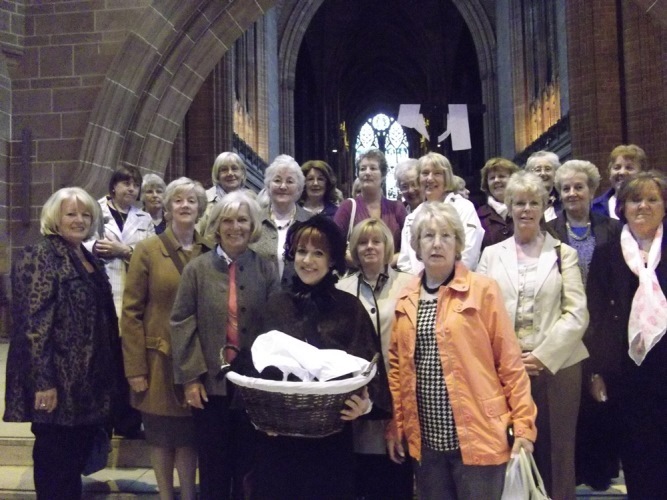 We drove along to Birkenhead & travelled through the tunnel & had a short tour around the Albert Dock before heading to Vauxhall Road & the Eldonian Village, where we had an excellent buffet & a welcome cup of tea! Sylvia’s vast knowledge of Liverpool & its surrounding areas is phenomenal; it is always a pleasant & informative evening in her company. 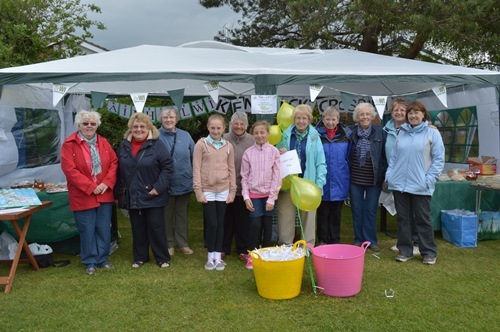 Rainhill WI joined forces once again with Kendrick’s Cross WI to sell cakes at the annual Rainhill Gala at St Ann’s C of E Primary School playing field. 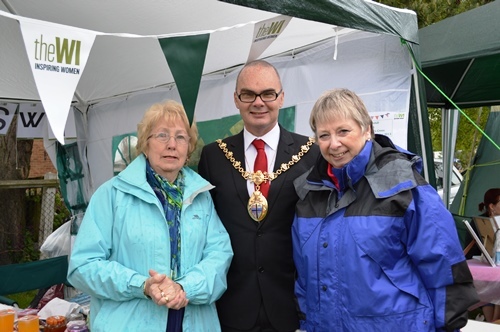 Despite the windy & wet weather a total of £253 was raised, which this year is donated to the Macmillan charity. 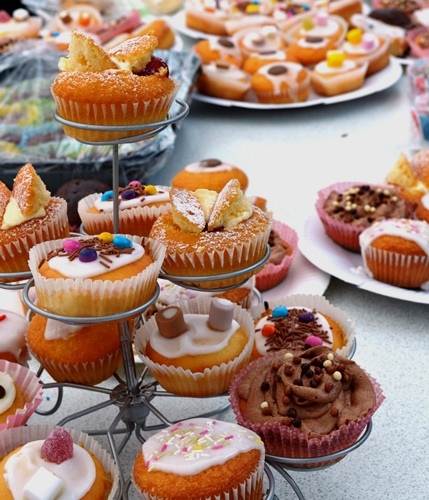 Thank you to everyone that donated cakes, biscuits & jams and to all those ladies that braved the cold…..here’s to a better day weather wise next year! 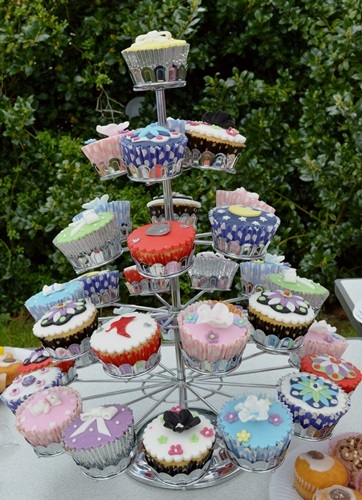 Thank you again for all the wonderful cakes!